Jeulia Black Friday Sale, What Is Worth Shopping? Time is so fast, after spending the global double 11 shopping day, Black Friday sale 2017 is saying hello to us. I just wonder if you received your express of double eleven. Now it has only a week away from Black Friday 2017, but jeulia black Friday sale has begun! It is 35% off sitewide. Have you shocked by the big deal? We can promise that it will be the lowest price ever since and even is the lowest on the market because the discount is based on our original price. Maybe you feel jeulia to be crazy, but in actuality, jeulia just wants to transmit our warm love to more people, and it is the original intention of jeulia jewelry as well. Facing with so many low-cost items, you must be a little dizzy. Today jeuliablog arranges an ideal strategy for you, and these sorts are the most valuable things to buy on jeulia. Let’s begin! What is the best seller of jeulia jewelry? There is no doubt that they are engagement and wedding rings. Be honestly, engagement and wedding rings are our brand products. It is the best deal to purchase jeulia wedding and engagement jewelry if you get about to get engaged or marry, or it will be soon to meet your special day. 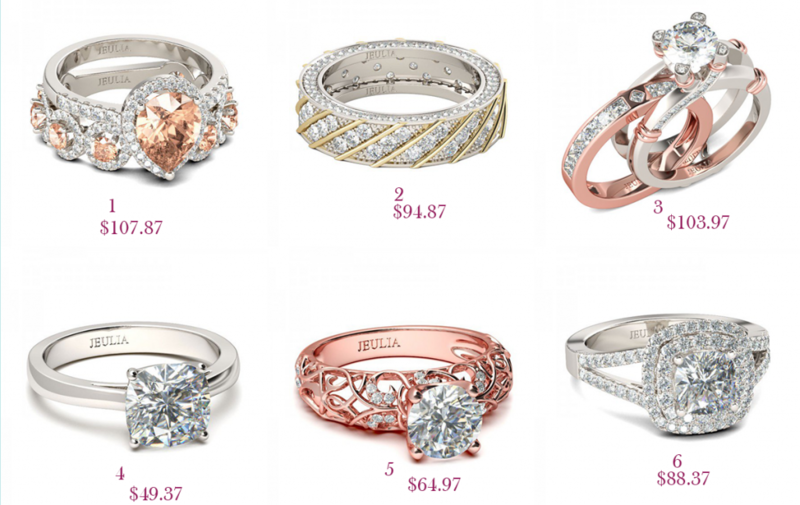 Jeulia blog collects everything about women’s and men’s accessories, such as wedding and engagement rings. We also show you some unique ideas about fashion and life. You can appreciate the splendid article about jewelry knowledge, jewelry outfits, special day ideas, as well as jeulia hot selling pieces. Come here to discover the beauty of life! Welcome to jeulia blog!